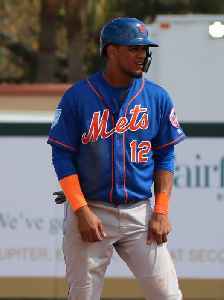 Juan Osvaldo Lagares is a Dominican professional baseball center fielder for the New York Mets of Major League Baseball (MLB). He made his MLB debut during the 2013 season. Known for his defensive prowess, he won the National League Gold Glove Award in 2014.